People who do not have access to a reliable source of clean water often suffer from water-related diseases. According to Living Water International, “water-related diseases cause 2.2 million deaths a year; every day, diarrhea takes the lives of 2,000 children in Africa—more than any other single cause of death. Safe water, a toilet, and clean hands could prevent 90% of these deaths.” That’s why hygiene training is an important part of every water-well drilling initiative. This week, while our team of guys worked hard to drill a water-well for the people of Los Robles, our friend Marina Medrano focused on teaching women and children important lessons on basic hygiene. 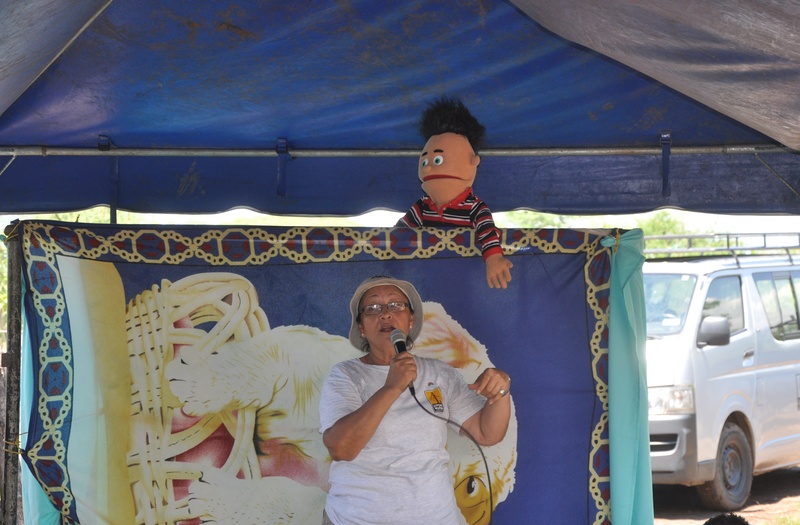 She is an amazing lady — a gifted teacher and story-teller and very knowledgeable about all things hygiene. We take for granted that everyone in this day and age knows how germs are spread. Marina knows otherwise. All week, Marina has been surrounded by women and children. She has taught about everything from how germs are transmitted to how to properly brush one’s teeth. And she has done it all in very creative ways. 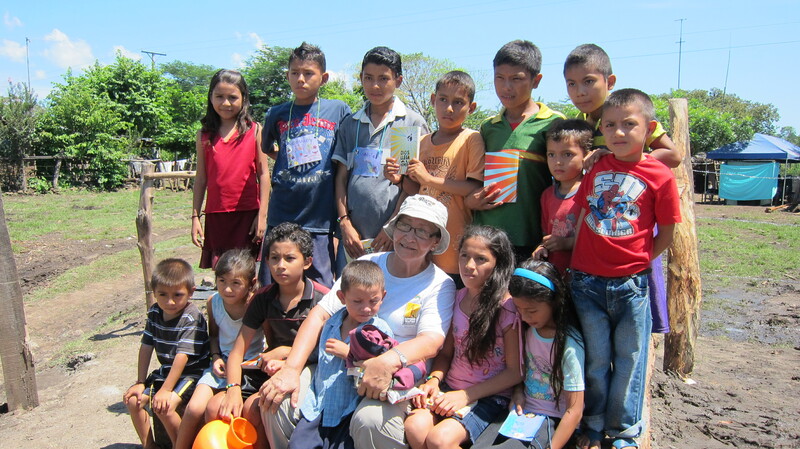 Beyond teaching basic hygiene, Marina has taught the folks of Los Robles about Jesus and why He came. This week fourteen teenagers and two adults placed their faith in Christ for salvation as a result. 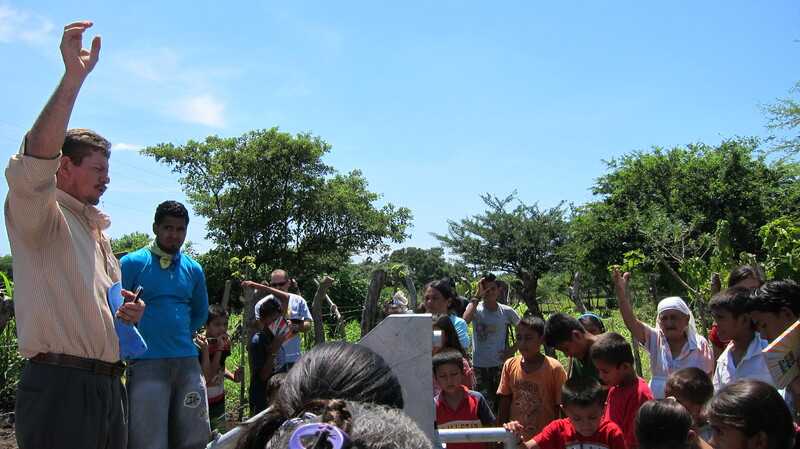 After we dedicated and presented the water-well this afternoon to the people of Los Robles, there was a buzz of activity around the well. 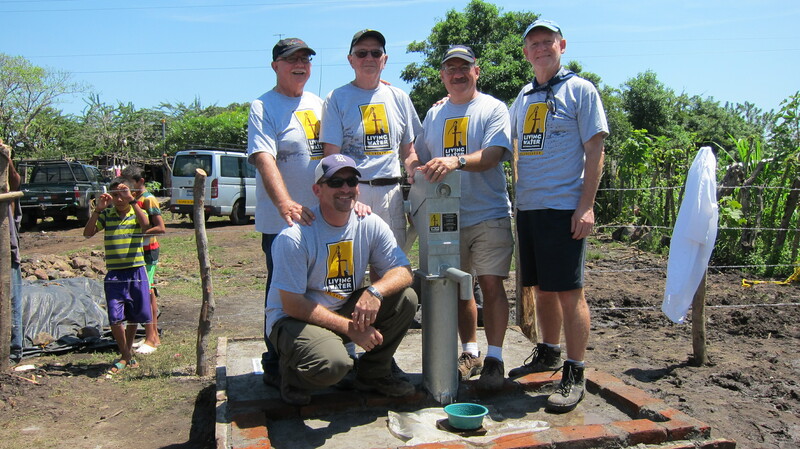 Everyone was grateful for the new well in their village, and everyone was grateful for Marina’s good work. 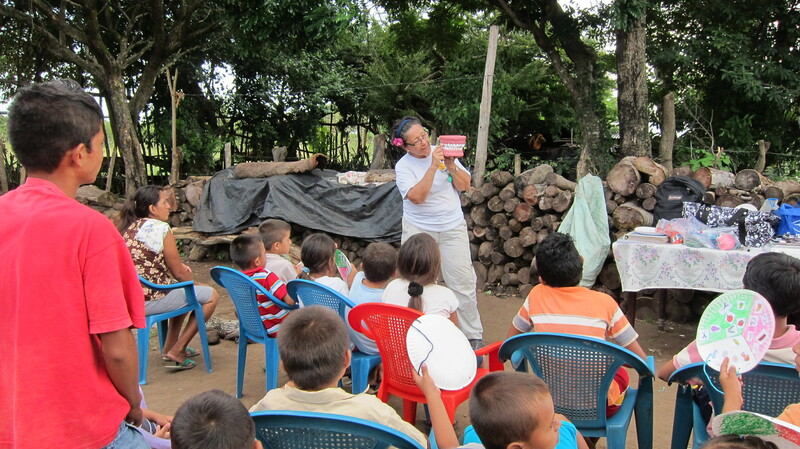 Mom’s and kids thanked her for the important lessons she had taught them and vowed to practice better hygiene. And Pastor Marcos will follow-up on the people who made spiritual decisions this week. As always, it was hard saying goodbye to the people we have come to know and love this week. Los Robles is a tight-knit community of people doing their very best to survive from day-to-day. Like parents anywhere, the moms and dads here want for their kids to have opportunities for a better and healthier future. We are thankful to have played a small role in strengthening their community and being the answer to their prayers for clean water. Thanks, Kelly. You would enjoy meeting Marina. She has been a tireless worker this week. You are fortunate. Marina is a sweet lady. Our team enjoyed the time with her in El Salvador. Thanks for sharing.